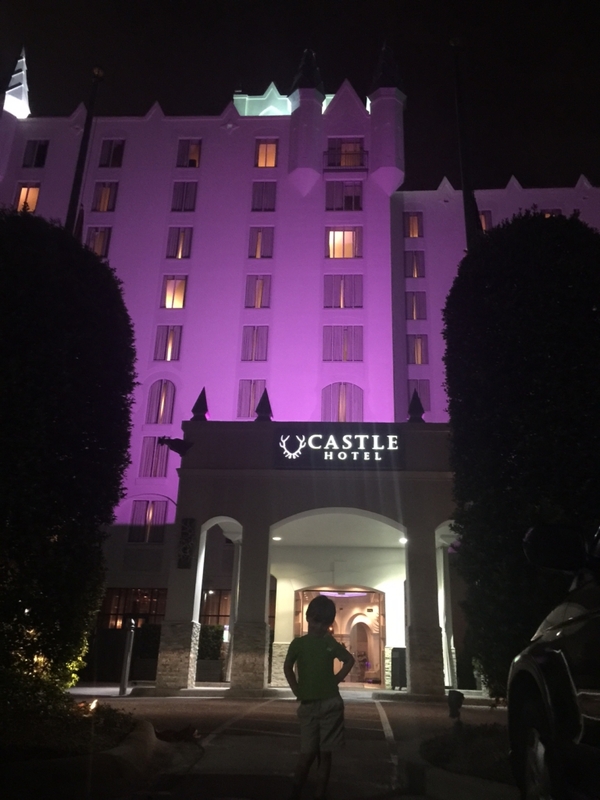 We had a lovely one night stay at The Castle Hotel in Orlando. 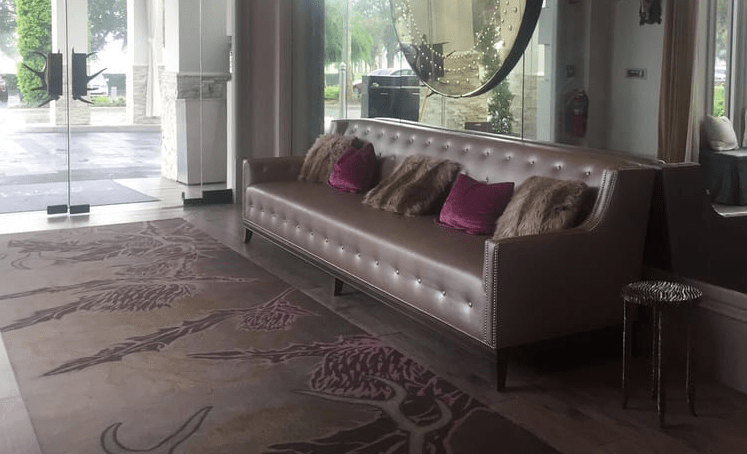 This elegantly themed hotel is located conveniently in the International Drive area with many attractions and restaurants within walking distance. 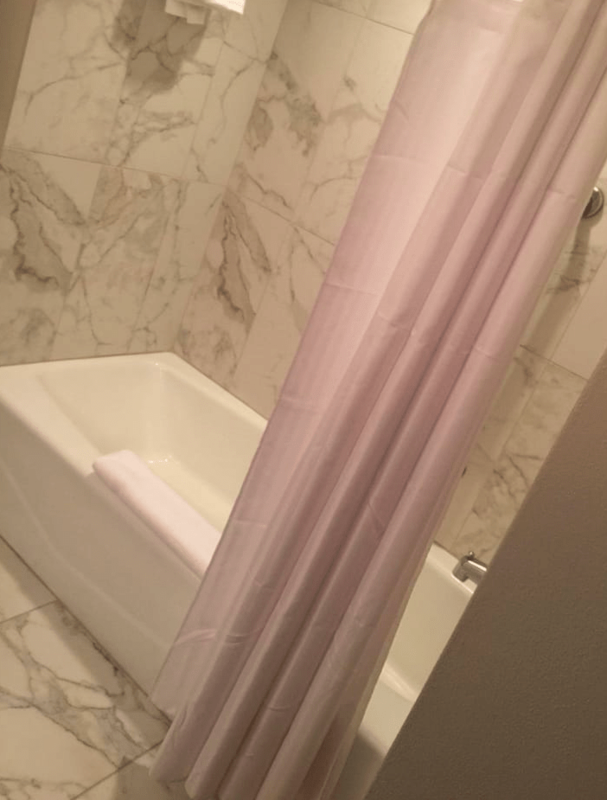 It can be a great choice for a romantic getaway, the family or even business travelers. 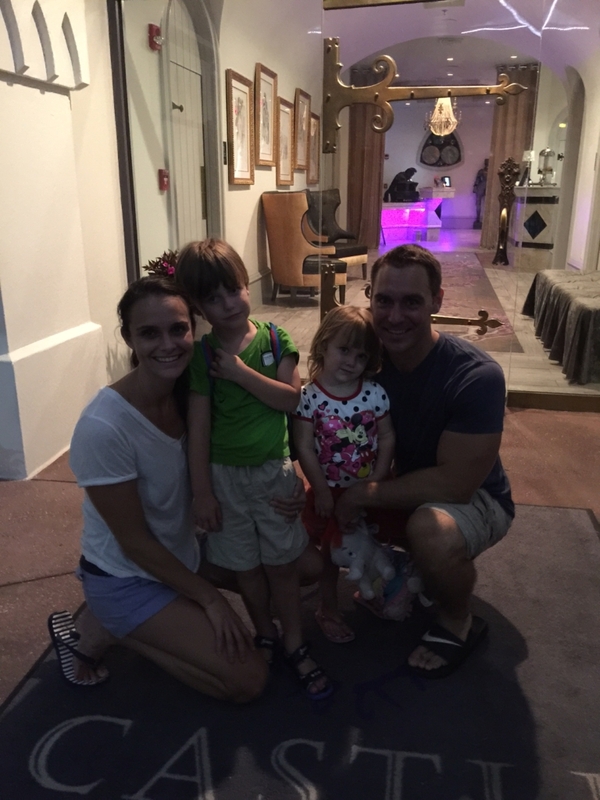 This is a boutique hotel that is both kid and pet-friendly! Great stay for all types of travelers. We had a one night stay here when we planned to arrive in Orlando late in the night for a Disney vacation. 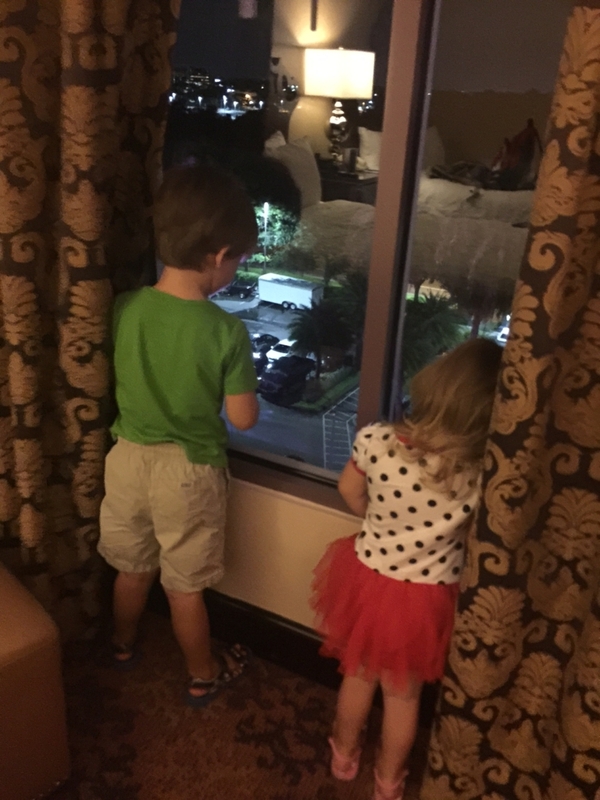 Instead of spending the $300+ rate for a short night at Disney we opted to throw in a unique hotel experience to start the trip off. 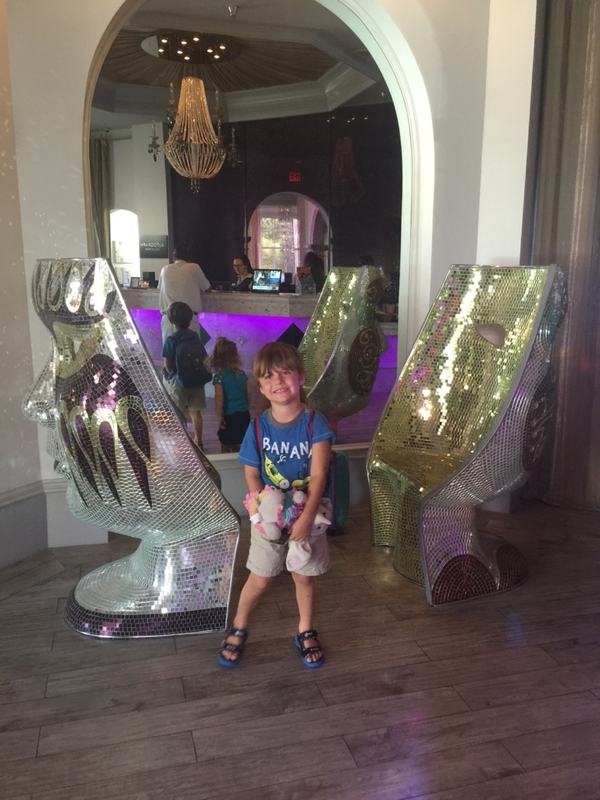 My son loves hotels, so I knew he would love the Castle theme. It did not disappoint. The attention to detail is wonderful from the check in desk to the lobby, hallways, and luxurious beds. The Castle Hotel belongs to the Marriott Brand hotel but doesn’t look like it. 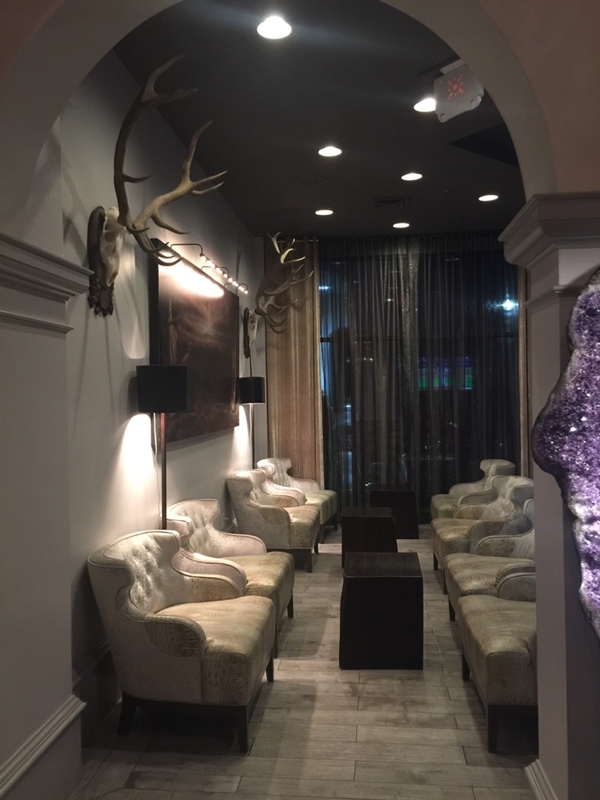 The decor throughout the hotel is funky and filled with fun things to look at like the tall gemstone structures, oversized mirrored chairs and antler chandeliers. We had a double room. 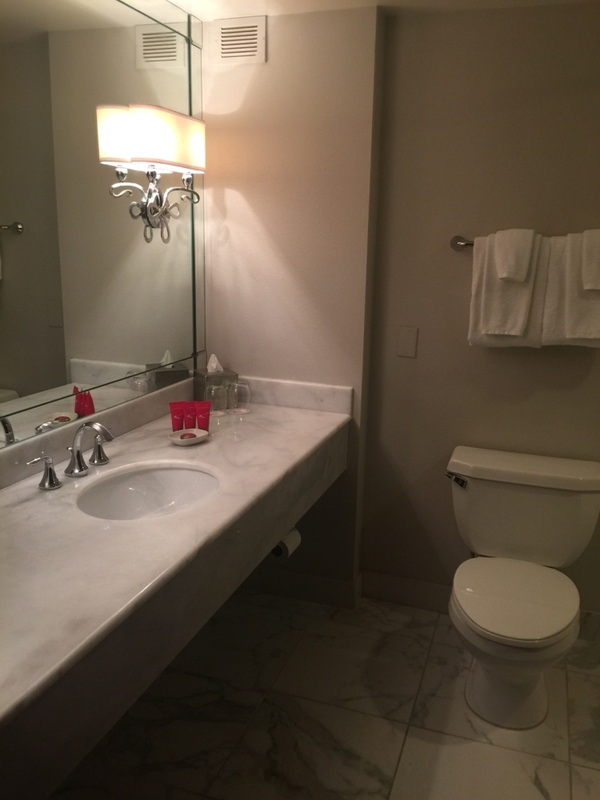 The rooms are very spacious with nice sized bathrooms. Definitely would not have felt cramped had we stayed here for several days. The beds are very comfortable; it was not easy to get everyone out f them the next morning. Internet was capable of running multiple devices at a fast speed. There is an in-room coffee maker with Starbucks brand products. And ice machines on each floor. Plus the hotel offers room service in addition to a couple of onsite restaurants and bars. For such a small hotel they do offer all the things you expect at larger hotel. POOLS: We were not at the hotel long enough to enjoy the hotel amenities. But we took a stroll around the entire hotel to check everything out for a possible return visit. The courtyard area that surrounds the pool is quaint. This is in no way a huge amenity for the hotel compared to other area hotel pools but it is nice and unique. 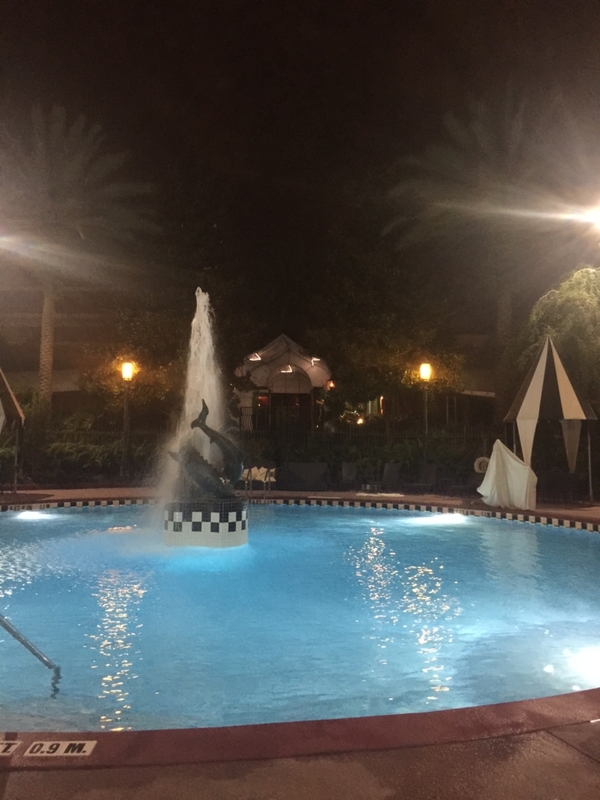 It is a circle pool in a relaxed setting. A bar and hot tub is off to one side and the entire area is surrounded by lush gardening. 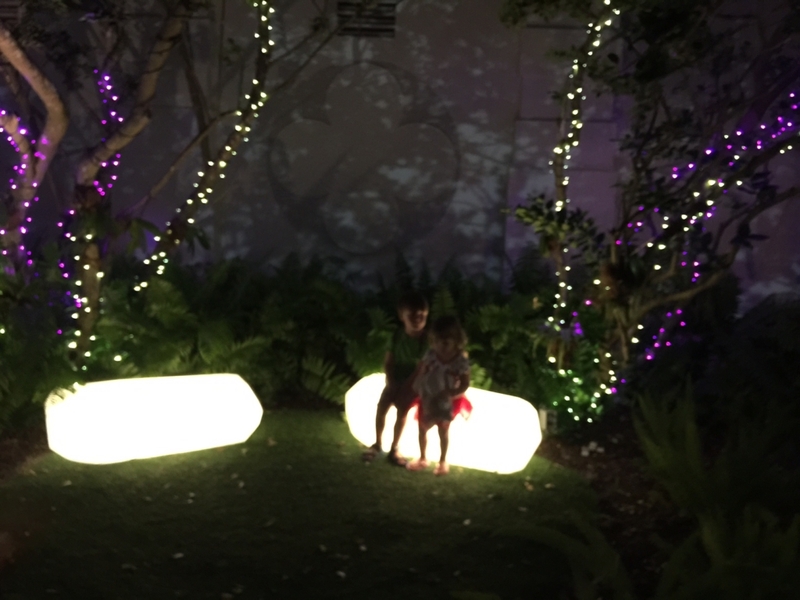 The beautiful romantic lighting at night was something the kids enjoyed as much as I did. FITNESS: The hotel did have a small fitness center with treadmills, ellipticals, and a small set of free weights. 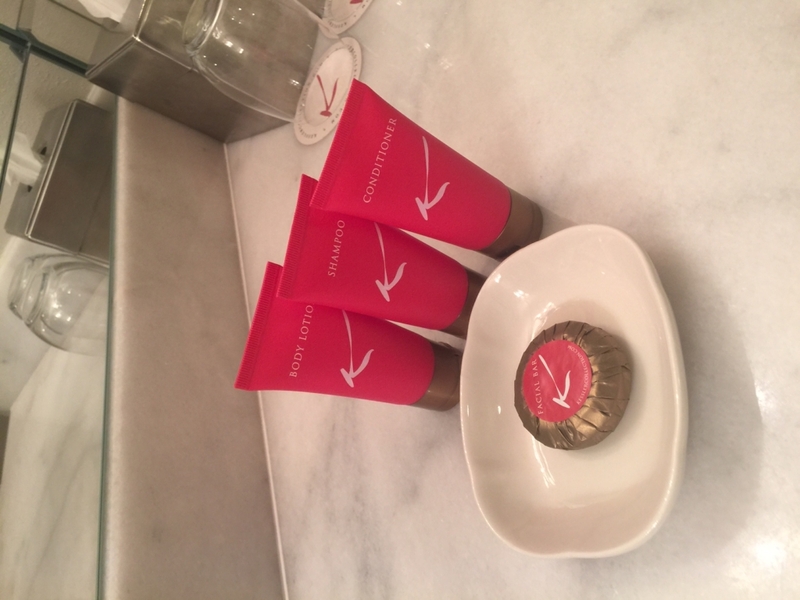 Many boutique hotels lack this amenity, so we were happy to see it. They provide towels, water and complimentary headphones. 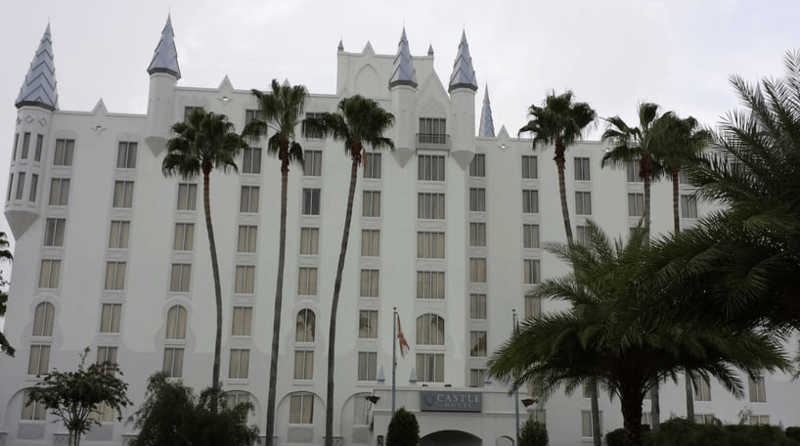 ROOM RATES: Nightly rates at The Castle start at $119.00 for a standard room to $200+ for an Executive King Suite. DINING: In addition to the Garden Bistro and Bar, Antler’s Lounge is a chic bar on the lobby floor of the hotel that serves dinner. One of our favorite restaurants in Orlando, Cafe Tu Tu Tango is right next door. Room services is available from 7am-11pm each day. FITNESS: There is a small gym with minimum weights and a handful of cardio equipment. RECREATION: Outdoor pool and hot tub. AMENITIES & SERVICES: Free wifi. Coffee/tea in room. Laundry onsite. Great Location. Beautifully Themed. Friendly Staff. This is not a sponsored post. We did receive a discounted rate but paid our own way at The Castle Hotel. The staff had no idea I’d be writing a review based on my experience. 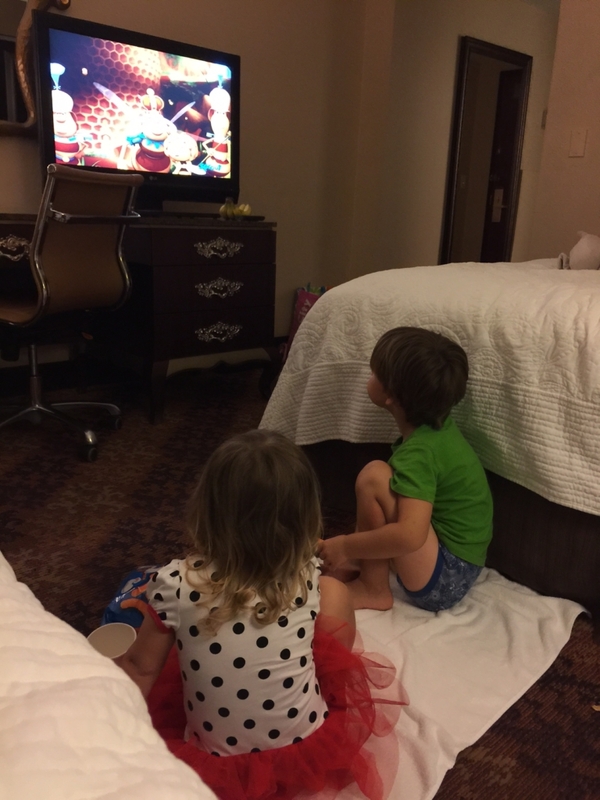 We take many staycations to Orlando each year and loved trying this new hotel. 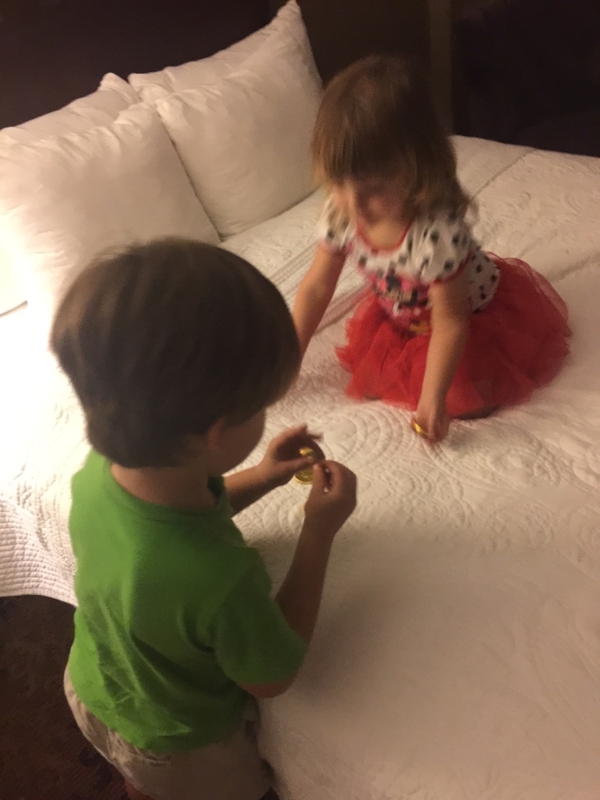 Our entire family enjoyed our stay and believe that many other parents would find this a great choice when looking for accommodations in this area of Orlando. Sounds like a nice place and the pool area looks really cozy. I always look at the bar + gym area to find how the hotel it. Never heard of this hotel but it looks really nice. A great staff is key for any place we stay for sure! The name of this place sounds familiar. Looks like a great place to stay with the kids or alone. What a gorgeous place to stay! I love that it is kid friendly as well. We plan on heading out to Florida in the next year, hopefully, and I will surely be checking into this place to stay. Your photos really show off the unique decor and impressive architecture! It looks like a great place to stay and really fits the Orlando look! This hotel looks great! 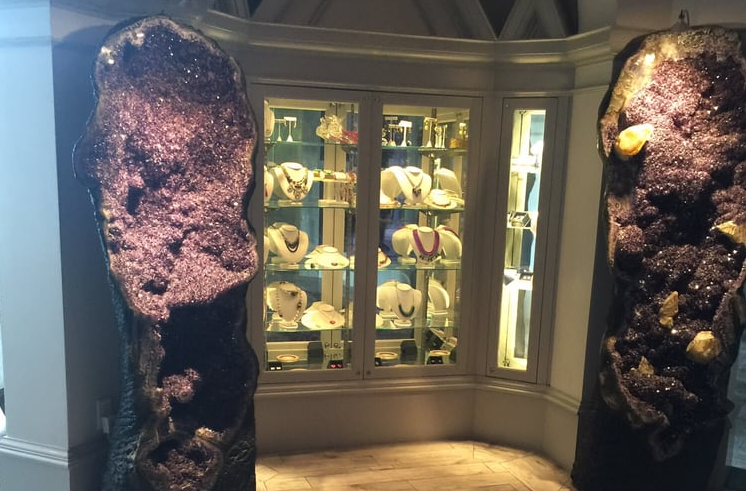 I’m definitely going to check this out on our next trip to Florida! It looks like a great trip!